Molly is ready for the next step in her career. She wants to be an active participant in a case at Hunt Investigations, the company she works for. Because of an overprotective brother this isn’t happening though, until the company decides not to accept a bad Santa case. Instead, Molly takes it to prove she’s just as capable as the men she’s working for. The only coworker who’s backing her up is Lucas. He believes in Molly, but they are in a complicated situation. Lucas was on medical leave because of being shot, when one night Molly ended up in his bed. He can’t remember what happened though, will she tell him and will she allow him to help her with the case? Molly and Lucas are a good team. Lucas would love to get to know her better, but the traumatized Molly has built a large wall around her heart. Because of their bad Santa case Molly and Lucas spend a lot of extra time together. Will she give him a chance to come closer when sparks fly? What will happen when their case appears to be much more serious than they thought, can they handle solving it together or are they in over their heads? Hot Winter Nights is a fabulous gripping romantic story. Molly is fierce, independent and brave. I liked her fiery spirit a lot. Lucas is a gentle, but heartbroken man and when he’s with Molly he feels lighter and more alive. I loved how well he knows her and how much he likes her. It was wonderful to witness his determination to make Molly his and I couldn’t wait to find out if he’d succeed. Or not. There are plenty of sparks between them and I was eager to find out if they’d be ready to give love another chance. Jill Shalvis knows how to write about love. I always like how well her main characters fit together. It’s fun to see if they will find their happily ever after. I’ve read a lot of her books and her compelling descriptive writing always manages to captivate me straight from the beginning. I enjoyed Molly and Lucas’s story very much. They’re special people who deserve to find their soul mate. Hot Winter Nights is wonderfully charming and delightfully entertaining with plenty of chemistry and a nice dosage of suspense. If you love romantic stories with some fabulous suspense you don’t want to miss Hot Winter Nights. It’s the sixth book in the Heartbreaker Bay series, but can easily be read as a standalone. 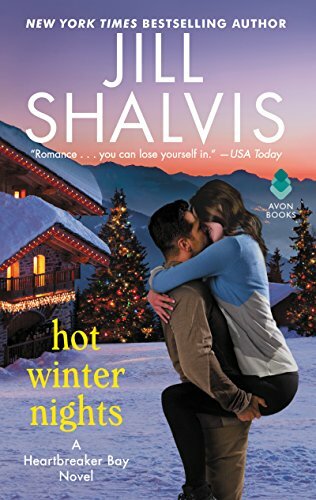 One very lucky reader of With Love for Books will receive a paperback copy of Hot Winter Nights by Jill Shalvis. Hot Winter Nights sounds like a well crafted story with plenty of action, humour and fun and a great addition in the Heartbreaker Bay series. love a good seasonal read - this looks great!! I do like the sound of this novel, a crime to solve and a nice romance too. Sounds wonderful. I am a big fan of Jill. This book sounds amazing and has received great reviews. Can't wait to dive in myself! This was great, I love Ms. Shalvis! Jill I love your books, thank you for this pretty amazing stories! They always make me feel better. Thank you! I liked the review. Sounds like a good book. 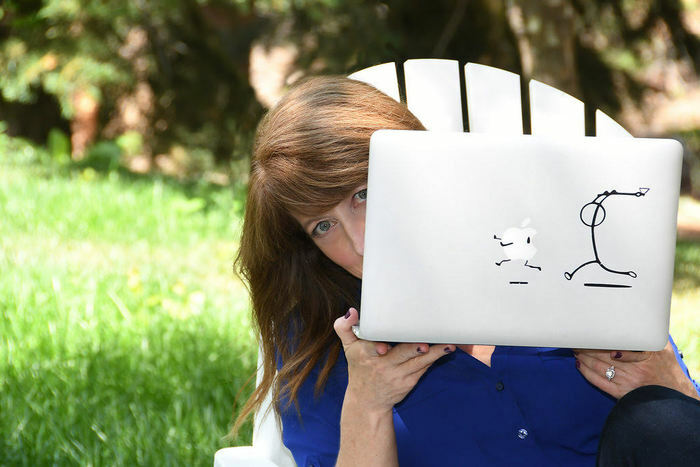 Jill Shalvis writes books I love to read. This book sounds good, thanks for the awesome review! Sounds like a great cosy read! So excited about Molly $ Lucas story,can't wait to read! This books sounds great and I love the cover! I love books with quirky characters! OOOh this sounds a lovely, romantic story, just ready to curl up with on a cold wintery night. Makes a pleasant change to have a slightly "weaker" male character and a stronger female character. Thank you for sponsoring this giveaway, Jill! I'd love to see how Molly's & Lucas' relationship grows. You had me at Bad Santa case. Sounds lovely, it would be very interesting to follow how their love is developing despite the trauma. Thank you for the review and giveaway. Santa isn't bad! It must be an imposter!